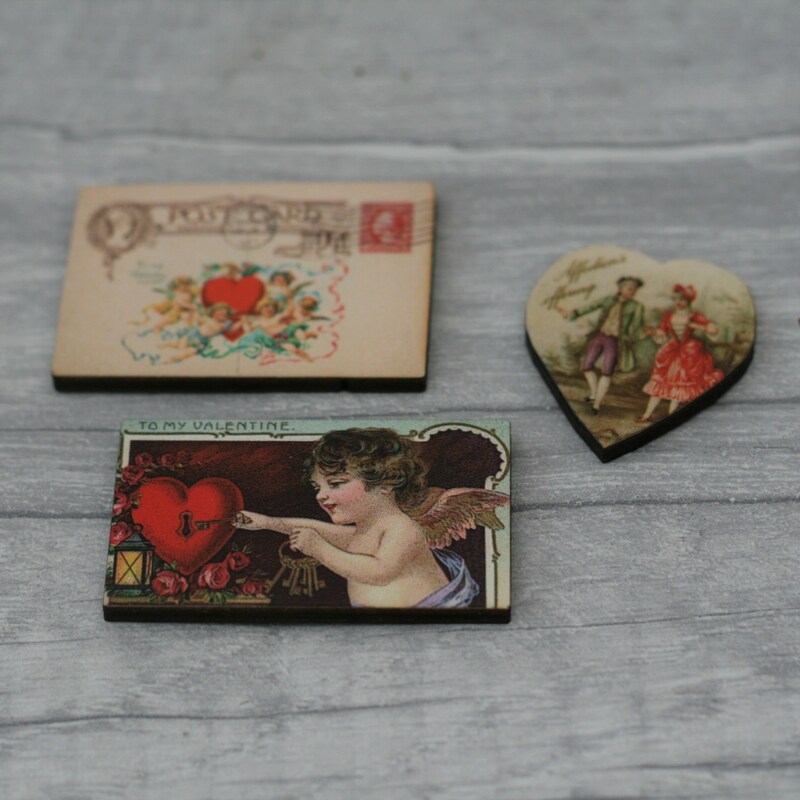 A collection of 3 Wooden Valentine's Brooches. These brooches are made by adhering images to wood and laser cutting to shape. The reverse of each brooch is painted black and a silver plated fitting has also been added.